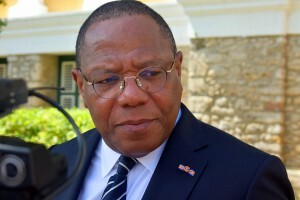 WILLEMSTAD - The former Minister of Finance for the MFK party, George Jamaloodin cannot be defended Rutsel Martha. The Court of First Instance rejected the request to admit him to the defense team of the former minister. The request was made by Jamaloodin’s defense lawyer Eldon Sulvaran. But this was rejected. According to the Council Chamber, Martha is not registered as a lawyer in any court in the world. He is a jurist, but not a lawyer. Jamaloodin is in prison awaiting his trial. He is a suspect in one of the most important cases in the history of Curaçao. The Public Prosecution is accusing him of being the mastermind behind the murder of the former Member of Parliament and popular political leader Helmin Wiels.